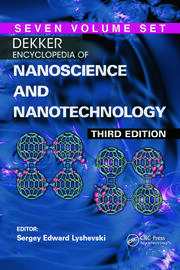 This up-to-date reference is the most comprehensive summary of the field of nanoscience and its applications. 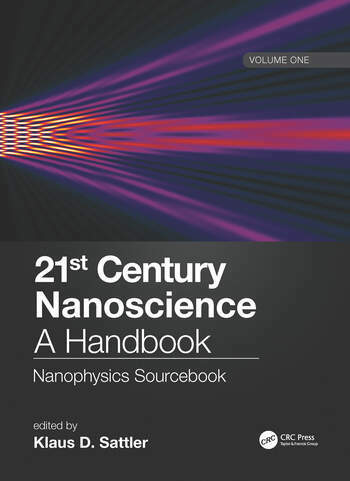 It begins with fundamental properties at the nanoscale and then goes well beyond into the practical aspects of the design, synthesis, and use of nanomaterials in various industries. 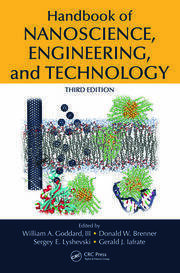 It emphasizes the vast strides made in the field over the past decade – the chapters focus on new, promising directions as well as emerging theoretical and experimental methods. The contents incorporate experimental data and graphs where appropriate, as well as supporting tables and figures with a tutorial approach. Numerical Methods for Large-Scale Electronic State Calculations on Supercomputer - Takeo Hoshi et al. Klaus D. Sattler pursued his undergraduate and master’s courses at the University of Karlsruhe in Germany. He received his PhD under the guidance of Professors G. Busch and H.C. Siegmann at the Swiss Federal Institute of Technology (ETH) in Zurich. He was at the University of California, Berkeley, for three years as a Heisenberg fellow, where he initiated the first studies of atomic clusters on surfaces with a scanning tunneling microscope. 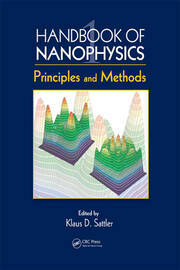 Dr. Sattler accepted a position as professor of physics at the University of Hawaii, Honolulu, in 1988. In 1994, his group produced the first carbon nanocones. His current work focuses on novel nanomaterials and solar photocatalysis with nanoparticles for the purification of water. He is the editor of the sister references, Carbon Nanomaterials Sourcebook (2016) and Silicon Nanomaterials Sourcebook (2017), as well as Fundamentals of Picoscience (2014). Among his many other accomplishments, Dr. Sattler was awarded the prestigious Walter Schottky Prize from the German Physical Society in 1983. At the University of Hawaii, he teaches courses in general physics, solid state physics, and quantum mechanics.